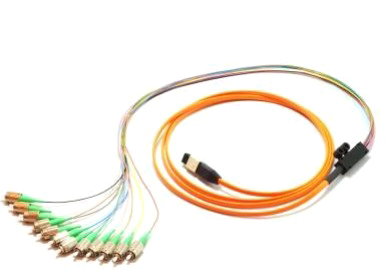 Optical fiber patch cords are made from either single or multi-fiber cables (usually rated for indoor use) and connected at each end with an optical connector (either single fiber or multiple-fiber connector). Sometimes patch cords are called jumpers, especially if they are simplex or dulex. 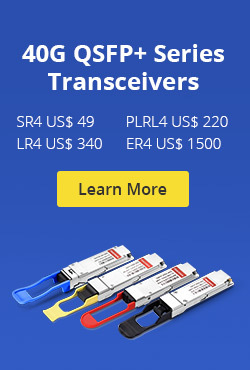 The connectors are selected to mate with the interfacing equipment or cable connectors. The important idea is that the cable has a connector at each end. The fiber can be either tight or loose buffered and the cable can be made of various diameters (1.2 mm to 3.0 mm are common). 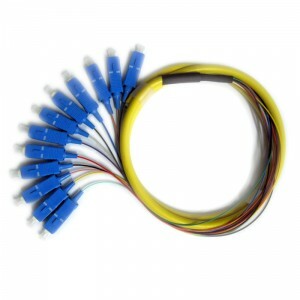 The patch cord may have one type of connector (ST FC, SC, LC, etc) on one end and a different connector on the other as long as all the fibers are connectorized on each cable end – this is a transition jumper. 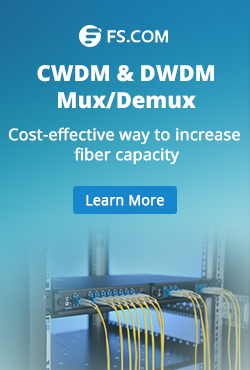 Patch cords are commonly used to connect ports on fiber distribution frames (FDFs). This entry was posted in Fiber Cabling, Fiber Optic Cable, Fiber Optic Pigtail, Wiki and tagged fiber pigtails, path cord on October 29, 2013 by Admin. I also have used fiber optic jumpers in place of pigtails for customer directed repairs. I prefer proper equipment use per application, however I have noticed that with a fusion splicer the only complication is either the fan out assembly or the splice tray fit and the lack of color coding possibilities if using only jumpers .I do like the ability of testing a connector prior to splicing it on, but following the pigtail termination I always OTDR the fiber to ensure quality installation. That is followed at the completion of a installation with a light loss meter. Yes, cutting a jumper gives you 2 connectors. but 2 fiber pigtails are purposed for the task of providing connectors for a permanent link installation. while the jumper is purposed with the task interconnecting two such connectors. Standard designs that customers receive are clearer to understand as the specific function of each item is known. If the bill of materials reflects : 144 pigtails for 12 individual 6 strand fiber cables and 72 jumpers to connect to equipment to ports provided. but the list of extra jumpers and nonstandard use of jumper cables in a proposed design might be enough to scare a customer away.if i was a contracting officer and I read: 72 jumpers to be used as pigtails for 12 individual 6 strand fiber cables and 72 jumpers to connect to equipment to ports provided. This entry was posted in Fiber Cabling, Fiber Optic Cable, Fiber Optic Pigtail, How To and tagged fiber jumper, fiber pigtails on October 29, 2013 by Admin. This entry was posted in Fiber Optic Pigtail, Wiki and tagged cross connect patch panel, fiber splicing, pigtail fiber optic on July 19, 2013 by Admin.